Copyright:© 2017 Sevindik M, et al. This is an open-access article distributed under the terms of the Creative Commons Attribution License, which permits unrestricted use, distribution, and reproduction in any medium, provided the original author and source are credited. The present study aimed to determine and compare total antioxidant status (TAS), total oxidant status (TOS), oxidative stress index (OSI) and Fe, Zn, Pb, Cu and Ni content of Geastrum pectinatum Pers. mushroom that was collected in different areas in Antalya province (Geyikbayiri and Termessos National Park). TAS, TOS and OSI values were measured using Rel Assay kits. Heavy metal content was determined with atomic absorption spectrophotometry using the wet decomposition method. Study findings demonstrated that samples collected in Termessos National Park had more suitable heavy metal and oxidative stress conditions when compared to those collected in Geyikbayiri. Furthermore, it was considered that due to the high TAS values, the said mushroom could be consumed as a natural antioxidant source in alternative medicine. Since the early days of civilization, mushrooms have been used as nutrients and medicines . In addition to nutrient properties, mushrooms are also noted for their medicinal properties. Plants contain many phytochemicals with medicinal properties in their bodies. It has been proven that fungi, like plants, may contain some phytochemicals in a similar way and thus exhibit significant bioaccumulation [2,3]. Today, along with the increase in molecular studies, their use in biological warfare as well as in the production of antibiotic and other pharmacological products has increased [4,5]. Synthetic drugs used by humans are preferred due to their capacity to provide a healthy life and increase the defense system despite their toxic and mutagenic effects . However, the use of natural pharmacological agents may reduce these adverse effects in living beings. Previous studies demonstrated that mushrooms have antimicrobial, antibacterial, anti-carcinogenic, antioxidant, antiviral, anti-inflammatory, anticoagulant, cytotoxic, cytostatic, antiatherogenic, antioxidant, anti-allergic, hypoglycemic and immunosuppressive properties [7-19]. Thus, determination of biological activities of mushrooms is significant to reveal new pharmacological agents. In addition to their medicinal properties, mushrooms also function in the organic matter break up, which is very significant for the sustenance of life in the nature [20,21]. Mushrooms could be used as pollution indicators based on the levels of the elements they accumulate in the environment depending on the substrate content they consume in the environment they are cultured [22,23]. Thus, the determination of heavy metal levels that fungi collect in their physical structures would enable determination of the level of pollution in the environment, as well as preventing health problems that would arise in case of their consumption. In this context, determination and comparison of total antioxidant status (TAS), total oxidant status (TOS), oxidative stress index (OSI) and heavy metal content (Fe, Zn, Cu, Pb and Ni) of Geastrum pectinatum Pers. mushroom were aimed in the present study. G. pectinatum samples were collected in Geyikbayiri (KonyaaltÃÂ±) and Termessos National Park in Antalya province (Turkey) in 2015. The collected mushroom samples were dried in an incubator in the laboratory at 40°C. Dried samples were pulverized by mechanical grinder. Then, 30 g pulverized sample was weighed and extracted with ethanol in the Soxhlet device (BUCHI Extraction System Model B-811). The heavy metal content in the mushroom samples were determined with wet decomposition method. For this purpose, mushroom samples were initially dried at 40°C and then pulverized. One gram pulverized sample was weighed in 3 replicates and placed in 50 ml glass beakers. 10 ml HNO3 was added. The samples were then stored at ambient temperature for 1-2 days. Then the beakers were heated with a hot plate until the solution became clear. Then, 10 ml concentrated HCI was added and the heating process was repeated. Then, 20 ml diluted HCl was added to the solution and the solution was prepared for analysis by filtration . The element concentrations of the prepared solutions were determined with a Perkin Elmer (AAnalyst 400) instrument. G. pectinatum ethanol extract TAS (mmol/L), TOS (μmol/L) and OSI values were determined with Rel Assay kits. The values are presented in Table 1. Table 1: TAS, TOS and OSI Values of G. pectinatum. Soil and G. pectinatum mushroom Fe, Zn, Cu, Pb and Ni content were determined in the conducted analyses and presented as average ± Std in Table 2. Table 2: Heavy metal levels of G. pectinatum. Based on the conducted study, it could be argued that the heavy metal content in the regions where G. pectinatum was collected were suitable. It was also determined that oxidative stress values differed between the regions. The high TAS values in G. pectinatum demonstrated that samples collected in more suitable sites based on oxidative stress values could be consumed as an alternative antioxidant source. El-Enshasy H, Elsayed EA, Aziz R, Wadaan MA (2013) Mushrooms and Truffles: Historical Biofactories for Complementary Medicine in Africa and in the Middle East. Evidence-Based Complementary and Alternative Medicine. Turkoglu A, Duru ME, Mercan N, Kivrak I, Gezer K (2007) Antioxidant and antimicrobial activities of Laetiporus sulphureus (Bull.) Murrill. Food Chem 101: 267-273. Orangi M, Pasdaran A, Shanehbandi D, Kazemi T, Yousefi B, et al. (2016) Cytotoxic and Apoptotic Activities of Methanolic Subfractions of Scrophularia oxysepala against Human Breast Cancer Cell Line. Evidence-Based Complementary and Alternative Medicine. Pasdaran A, Delazar A, Ayatollahi SA, Pasdaran A (2017) Chemical composition and biological activities of methanolic extract of Scrophularia oxysepala Boiss. Iran J Pharm Res 16: 338-346. Â¾eviÃÂ A, LauševiÃÂ SD, MilovanoviÃÂ I (2013) Antioxidant protective effects of mushroom metabolites. Curr Top Med Chem 13: 2660-76. Kahlos K, Kangas L, Hiltunen R (1987) Antitumor activity of some compounds and fractions from an n-hexane extract of Inonotus obliquus in vitro. Acta Pharm Fennica 96: 33-40. McMorris TC, Kelner MJ, Wang W, Estas LA, Montoya MA, et al. (1992) Structure-activity relationships of illudin analogs with improved therapeutic index. J Org Chem 57: 6876–83. Burczyk J, Gawron A, Slotwinska M, Smietana B, Terminska K (1996) Antimitotic activity of aqueous extracts of Inonotus obliquus. Boll Chim Farm 135: 306-9. Brandt CR, Piraino F (2000) Mushroom antivirals. Recent Res Dev Antimicrob Agents Chemother 4: 11-26. Lam YW, Ng TB, Wang HX (2001) Antiproliferative and antimitogenic activities in a peptide from puffball mushroom Calvatia caelata. Biochem Biophys Res Commun 289: 744-9. Sano M, Yoshino K, Matsuzawa T, Ikekawa T (2002) Inhibitory effects of edible higher basidiomycetes mushroom extracts on mouse type IV allergy. Int J Med Mushrooms 4: 37-41. Barros L, Calhelha RC, Vaz JA, Ferreira ICFR, Baptista P, et al. (2007) Antimicrobial activity and bioactive compounds of Portuguese wild edible mushrooms methanolic extracts. Eur Food Res Technol 225: 151-156. Olennikov DN, Tankhaeva LM, Agafonova SV (2011) Antioxidant Components of Laetiporus sulphureus (Bull. : Fr.) Murr. Fruit Bodies. Appl Biochem Microbiol 47: 419-425. Sudha G, Vadivukkarasi S, Shree RBI, Lakshmanan P (2012) Antioxidant Activity of Various Extracts from an Edible Mushroom Pleurotus ostreatus. Food Science Biotechnol 21: 661-668. Tian Y, Zeng H, Xu Z, Zheng B, Lin Y, et al. (2012) Ultrasonic-assisted extraction and antioxidant activity of polysaccharides recovered from white button mushroom (Agaricus bisporus). Carbohydrate Polymers 88: 522-529. Jo EK, Heo DJ, Kim JH, Lee YH, Ju YC, et al. (2013) The Effects of Subcritical Water Treatment on Antioxidant Activity of Golden Oyster Mushroom. Food Bioproc Technol 6: 2555-2561. Sun L, Bai X, Zhuang Y (2014) Effect of different cooking methods on total phenolic contents and antioxidant activities of four Boletus mushrooms. J Food Sci Technol 51: 3362–3368. Erel O (2004) A novel automated direct measurement method for total antioxidant capacity using a new generation, more stable ABTS radicalcation . Clin Biochem 37: 277-85. Erel O (2005) A new automated colorimetric method for measuringtotal oxidant status. Clin Biochem 38: 1103-1111. Akgul H, Nur AD, Sevindik M, DoÃÂan M (2016) Determination of some biological activities of Tricholoma terreum and Coprinus micaceus. Artvin Coruh University Journal of Forestry Faculty 17: 158-162. AvcÃÂ± E, ÇaÃÂatay G, AvcÃÂ± GA, Suiçmez M, Cevher SC (2016) An Edible Mushroom With Medicinal Significance; Auricularia polytricha. Hittite Journal of Science and Engineering 3: 111-116. Cikcikoglu YildÃÂ±rim N, Turkoglu S, YildÃÂ±rim N, Ince OK (2012) Antioxidant Properties Of Wild EdÃÂ±ble Mushroom Pleurotus eryngii Collected From Tunceli Province Of Turkey. DJNB 7: 1647-1654. Mallikarjuna SE, Ranjini A, Haware DJ, Vijayalakshmi MR, Shashirekha MN, et al. (2013) Mineral Composition of Four Edible Mushrooms. J Chem. Liu B, Huang Q, Cai H, Guo X, Wang T, et al. 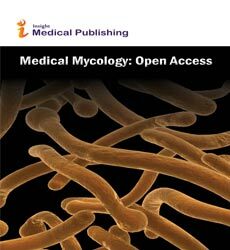 (2015) Study of heavy metal concentrations in wild edible mushrooms in Yunnan Province, China. Food Chem 188: 294-300.